A "hole" new dimension of fun in the shower or bath! 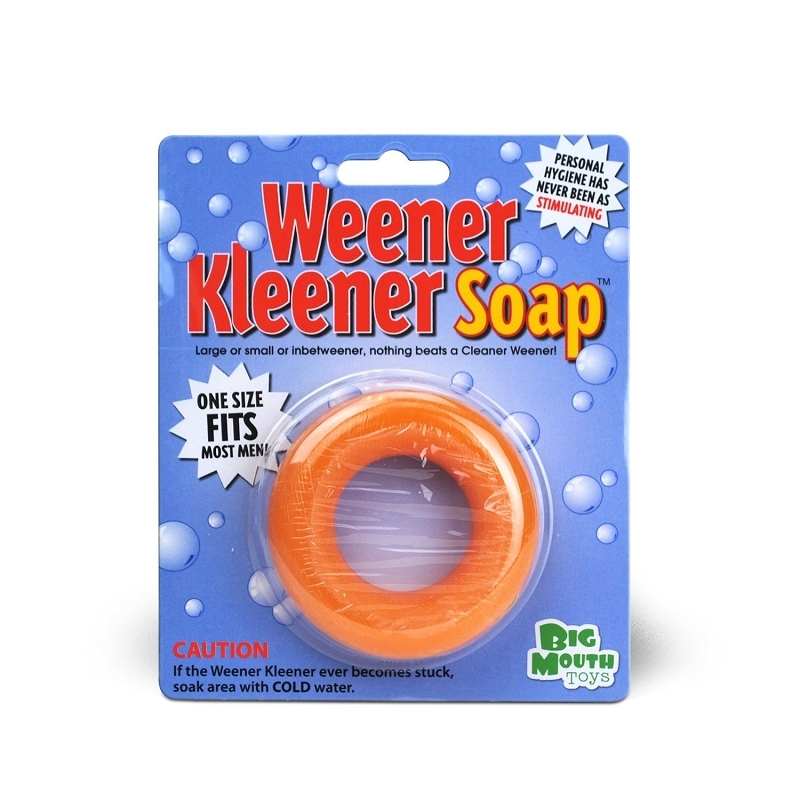 This Weener Kleener Soap cleans the body but dirties the mind! You'll be showering twice a day with your new bath time toy. This stimulating soap ring makes a hilarious gag gift for a boyfriend, a buddy who just got dumped... or what the heck, treat yourself to some good clean fun!